Constructed in 1938, this custom-built Walnut Creek treasure is a product of renowned Bay Area builder Carr Jones, and a stunning representation of the Storybook style home. 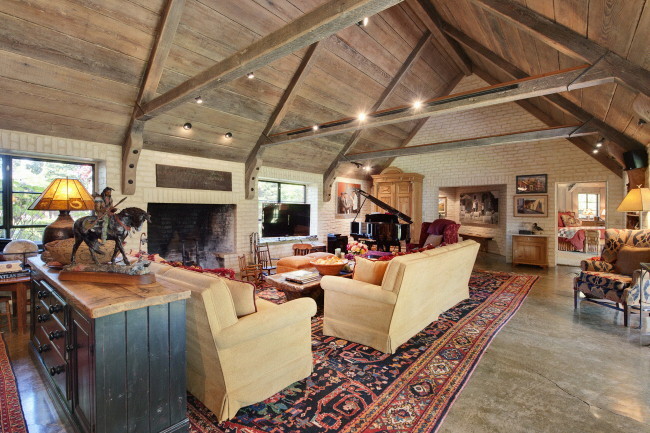 Jones was recognized for his careful craftsmanship and selection of natural materials, which is evident in features like the vaulted and wood beamed ceilings, ship-knee braces, conical shapes, and exposed brick. This Storybook home really reflects the beautifully blended whimsical yet practical nature of both the style and builder. It’s a dream come true!